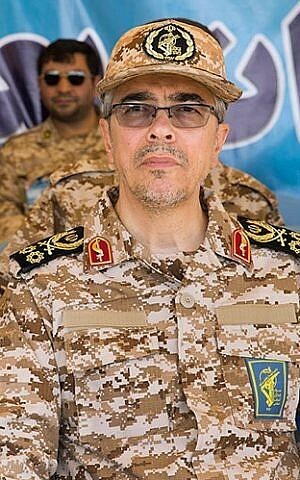 Iran’s military chief of staff indicated Wednesday that Tehran would not tolerate violations of Syrian sovereignty by Israel and vowed that the two countries would jointly fight against Syria’s enemies. His comments came after Israel on Monday struck an anti-aircraft battery inside Syria, which followed the firing of a Syrian missile at Israeli planes on reconnaissance flights over Lebanon. “We cannot accept a situation where the Zionist entity attacks Syria from the ground and the air,” General Mohammad Bagheri said during a rare visit to Damascus that began Tuesday evening. He said he was in the Syrian capital to coordinate and cooperate “in order to fight our common enemies — whether they are the Zionists or the terrorists. We discussed ways to strengthen relations in the future and outlined the basic principles of this cooperation,” he said. 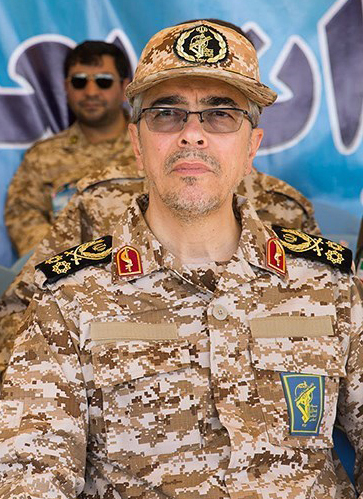 Bagheri arrived in Damascus with what the Tasnim news agency described as a high-ranking delegation. 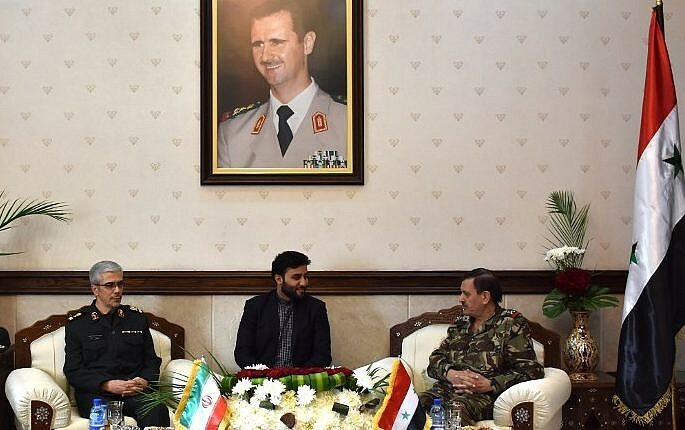 His comments were made at a joint press conference with Ali Abdullah Ayoub, his counterpart in the Syrian army. 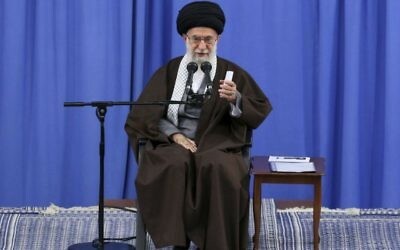 Bagheri was also expected to meet with Syrian leader Bashar Assad. He welcomed the support expressed by European leaders for the deal but said it did not go far enough. In a move applauded by Prime Minister Benjamin Netanyahu, Trump announced Friday that he would not recertify the 2015 nuclear accord signed by Iran and world powers which curbs Tehran’s nuclear program in exchange for the lifting of international sanctions. The US could “terminate the deal” if it could not bring about better terms and better enforcement of the current accord, Trump said, warning that his government could yet walk away from “one of the worst” agreements in history. 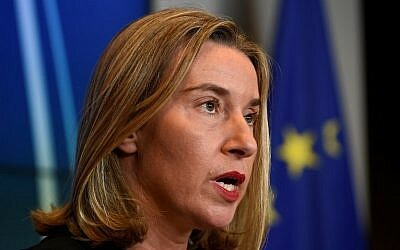 The EU’s chief diplomat Federica Mogherini announced Monday she would visit Washington early next month to defend the Iran nuclear deal and urge US lawmakers not to pull out of it. That was after the leaders of France, Britain and Germany rebuked Trump in a joint statement which said the deal remained “in our shared national security interest.” Russia and China also voiced their support for the deal. 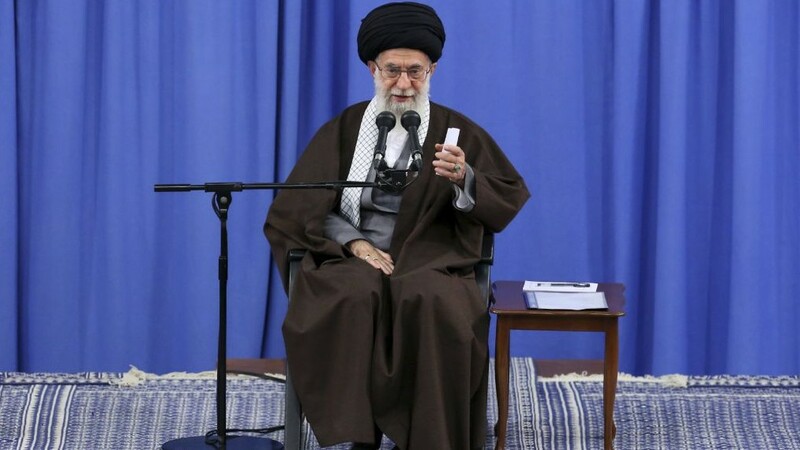 UN inspectors have repeatedly certified that Iran is sticking to its technical requirements under the accord, but Trump has insisted that the “fanatical regime” in Tehran was not living up to the “spirit” of the deal.